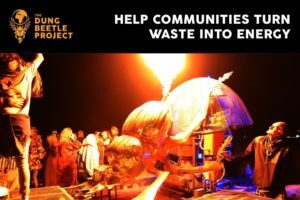 The team created a flaming production out on the floodplain that included incredible live performances and international DJ acts as well as talks and tours of the gasification technology. Getting the system to the festival was a massive endeavor that required renting a a huge trailer, mounting the Beetle and stage on it, then finding a powerful enough truck to pull 2200 Kilograms of unique technology on a 3300 Kilometer round trip on some rough roads. Everywhere we went people looked at our system encircled by a steel earth like some sort of alien marvel. In the desert town of Calvinia children followed the trailer, taking pictures on their cellphones and asking questions. Once at the festival a winter wind kicked up and prevented us from shredding plastic into the appropriate micro-size, since of course what worked in the workshop is completely different in practice in the desert, but that is what an early rollout gives us… the chance to correct early mistakes and make it work. But the elements could not stop the show, and we played Tuesday night at the main clan sculpture with some of our own DJs like Andrew the DJ and Che, both from Johannesburg. If I remember correctly a good time was had by all. The awesome Luke Atkinson from Camp Anvil helped Gadija Daniels and Pops rig the flame-thrower for the rear end of the Beetle and we hosted fiery and fabulous talks and music for the last few days. The system is back in Johannesburg now safe and sound and everyone has taken the last week off to pull ourselves towards ourselves and plot our next mission. There is work to do to get the Beetle’s gasification system up and running regularly, and lots of meetings, planning and other more mundane stuff. 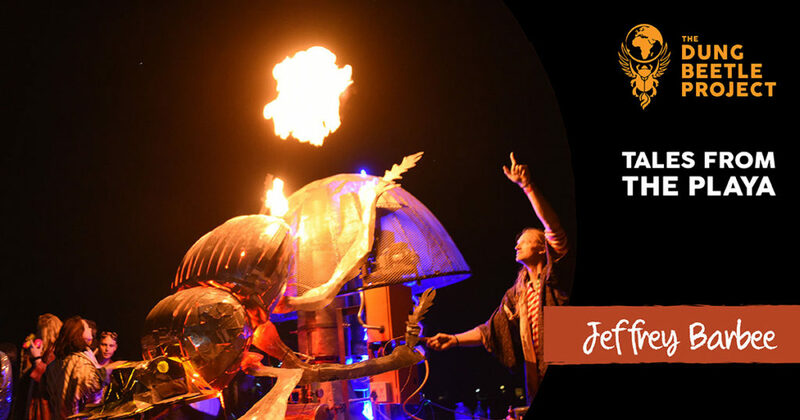 We are extremely honored for this exciting debut to have been financially supported by both Afrikaburn and Burning Man in the USA. Our Beetle camp was nothing short of amazing, and everyone pulled together with little sleep and some tough environmental conditions to make this a success. As we get the system refined in the next few weeks stay tuned for Beetle stage mixes, more amazing imagery like the picture here by myself, and our first liquid fuels production! A special thanks to all our supporters, our incredible team of new friends from far and wide, our amazing musicians, and the Afrikaburn community who supported us even when one of us (maybe me -ahem) burst the main fan assembly unit while starting it up in the desert last Friday. Oopsy daisy! We will be back and running next week. This entry was posted in Blog, tales from the Playa. Bookmark the permalink.